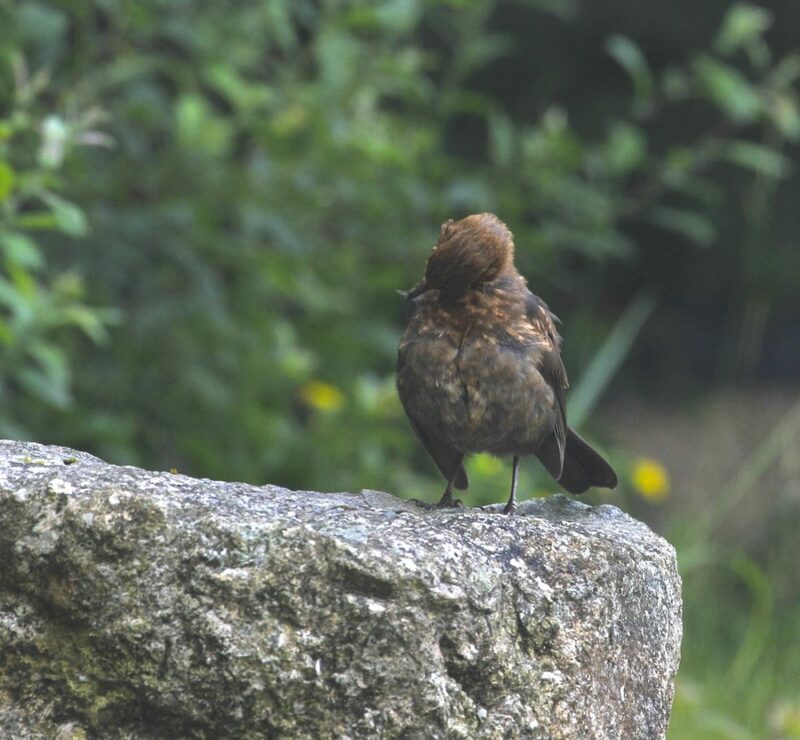 Blackbirds with their confident perching seem to have it all sussed. They are gorging on our black currants flying over and back across the garden as if they own the place. 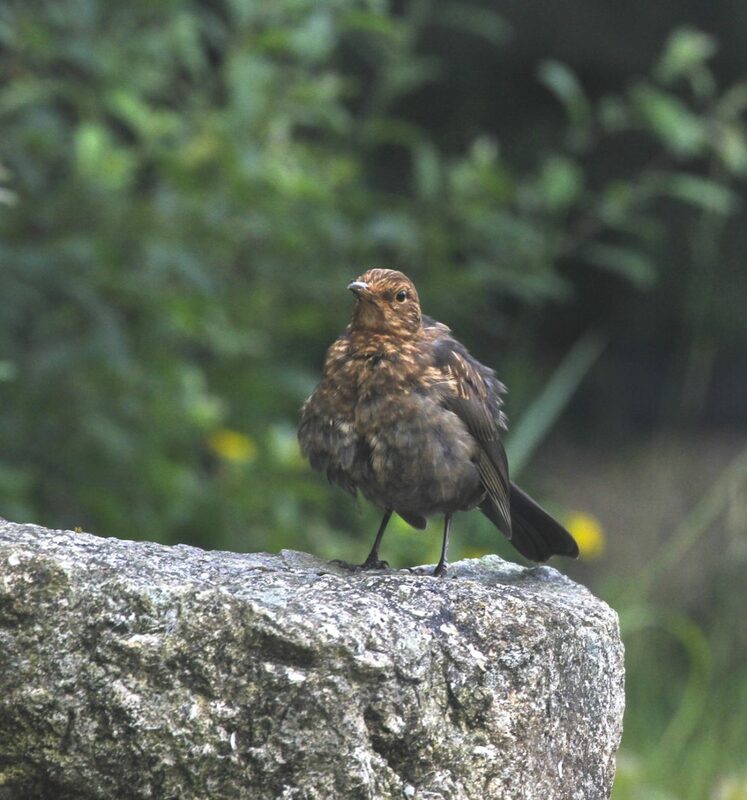 The speckled hen blackbirds are a rarer sight. I’m not sure why. Are they shy? Maybe they are just so busy feeding everyone else. That’s Motherhood for ya. The fledglings are thriving and are gorging on biting ants. They root, eat and then fly away to the top of the rock. They spend a good while ruffling their feathers and pecking at the ants. Sometimes I wonder who exactly is feeding on whom? 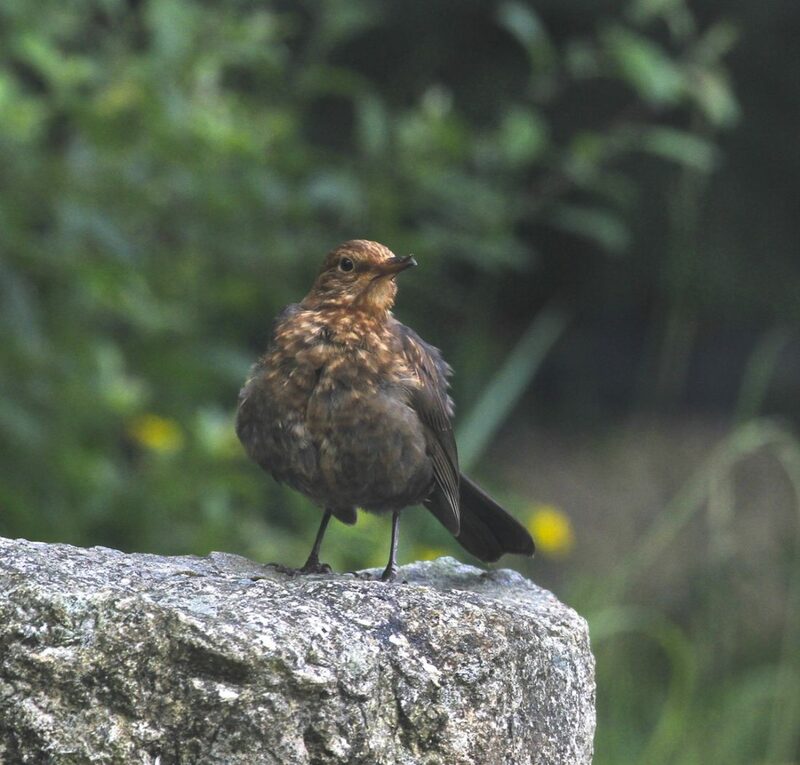 Most Blackbirds are resident here, but I like to think at least some of them are the visitors from Scandinavia. 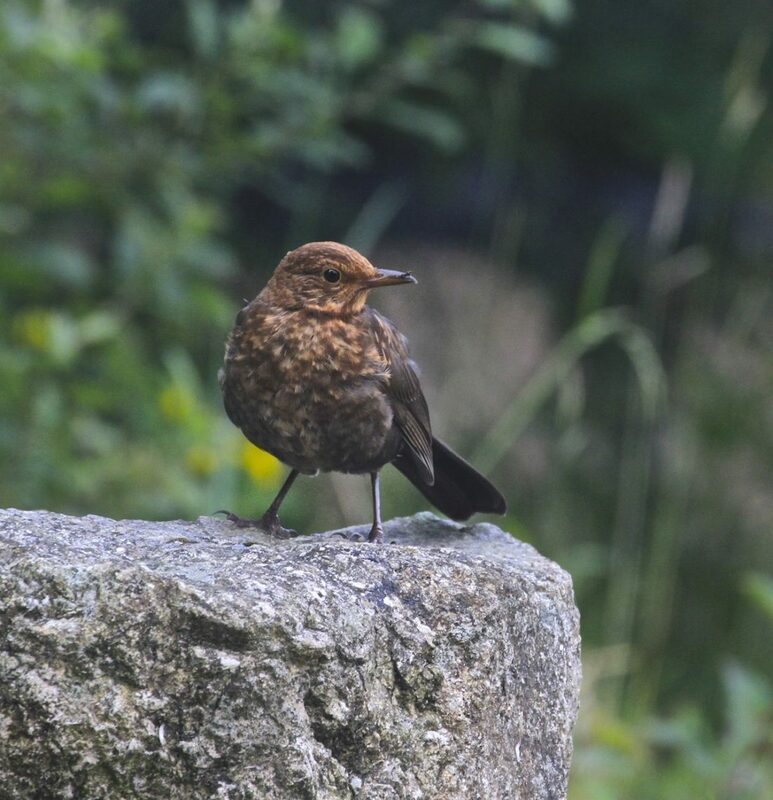 They spend all summer long singing to my Swedish family and then fly away to this mild wild garden for the winter. It will take a while for her to grow an adult set of feathers. For now like an untidy school kid she has attitude. 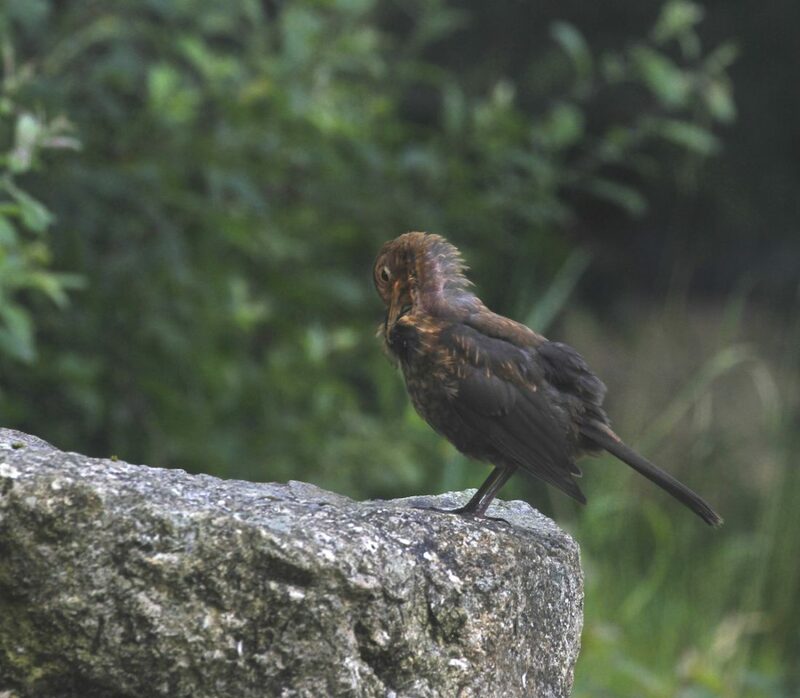 You might also like this photo gallery of the Mother Blackbird and family.